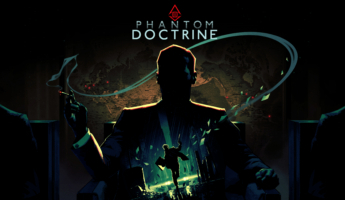 Good Shepherd Entertainment and independent developer CreativeForge Games have released Phantom Doctrine. This Cold War thriller strategy game from the makers of Hard West is out today on the PlayStation®4 computer entertainment system and Windows PC via Steam and GOG.com for €39.99, with a 10% discount available on all platforms from August 14th until the 28th. The Xbox One version has been officially approved for release and will launch on August 24th. Good Shepherd Entertainment and independent developer CreativeForge Games have announced that Phantom Doctrine’s release on Xbox One has been postponed until August 24th. The game has been officially approved for release on the Xbox One, and has recently been issued this new release date. The Cold War strategy thriller remains set to launch on Aug 14th on the PlayStation®4 computer entertainment system and Windows PC via Steam and GOG.com. Good Shepherd Entertainment has released a new gameplay breakdown trailer for Phantom Doctrine, the turn-based espionage strategy game from independent developer CreativeForge Games, creators of Hard West. As the leader of a covert organization battling a global conspiracy at the height of the Cold War, you’ll have to master operating in the shadows against overwhelming odds. Train your agents, investigate new cases, and research cutting-edge tech from your base, then infiltrate enemy facilities, eliminate their assets with stealth or brute force, and uncover their schemes.